For my thesis project, Laura Martini and I led a multi-disciplinary team of five graduate students to re-imagine the museum experience. After three academic quarters of research and prototyping, we launched a custom iOS app to work in conjunction with a purpose-built exhibition. 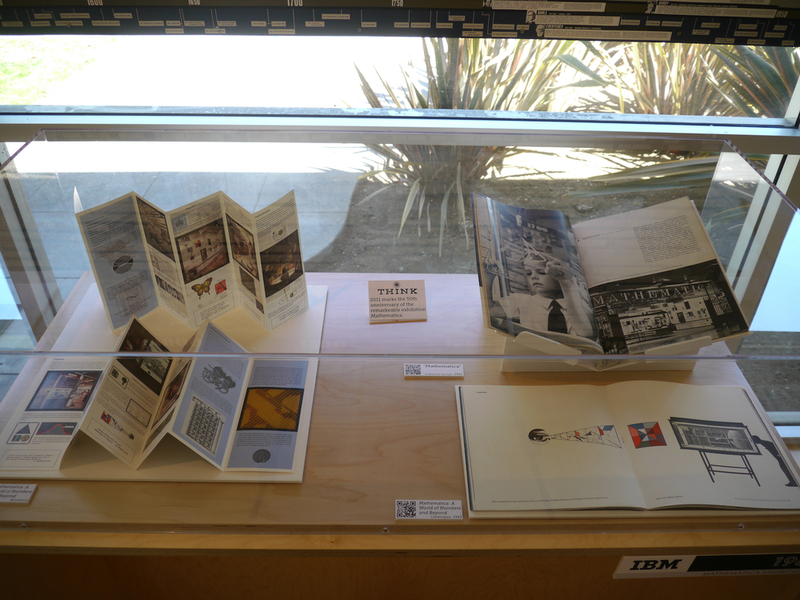 Drawing upon my collection of related works, this was the first public exhibition of the vast, pioneering design work done by The Eames Office for IBM from the 1950s through the 1970s. 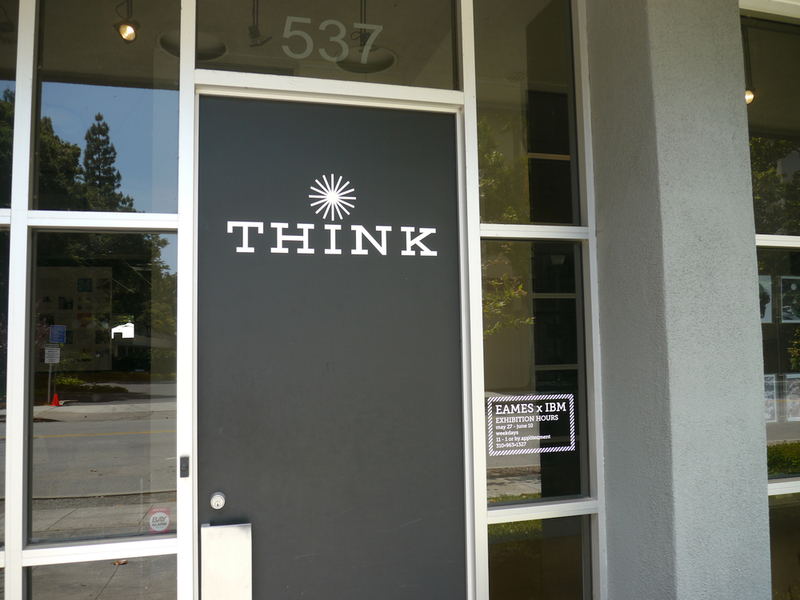 This project was made possible by a grant from The Stanford Institute for Creativity and The Arts (SiCa) with generous support from IBM, Herman Miller, LUNAR, The Eames Office and The Cantor Arts Center. The exhibition itself utilized roughly 100 original artifacts from my personal collection of over 1,000 related pieces of photography, films, books, printed matter and various ephemera. 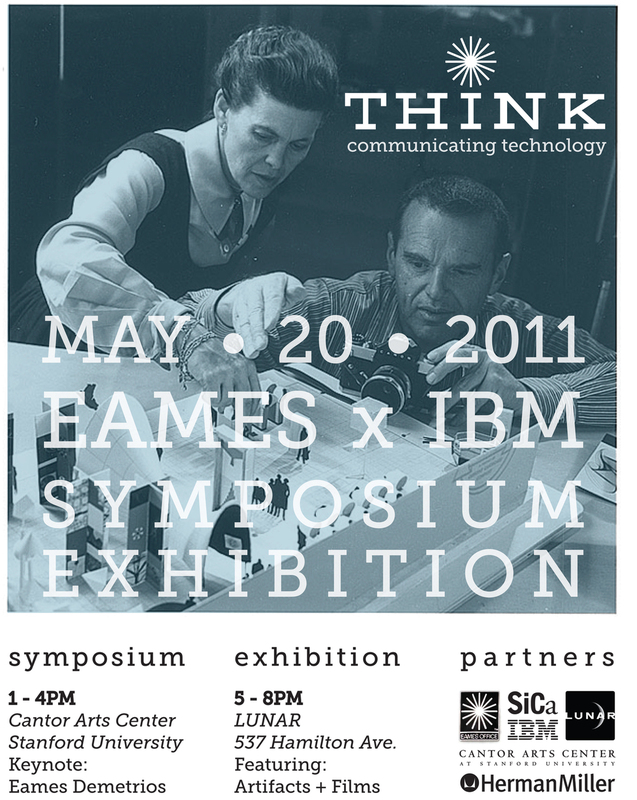 In conjunction with the exhibition opening, we held a public symposium with speakers that included David Kelley (Stanford/IDEO), Eames Demetrios (Eames Office), Alex Bochannek (Computer History Museum), Steve Cabella (The Eames Collector), Daniel Ostroff (Author), Fred Turner (Stanford) and Terrence McArdle (Inventor). 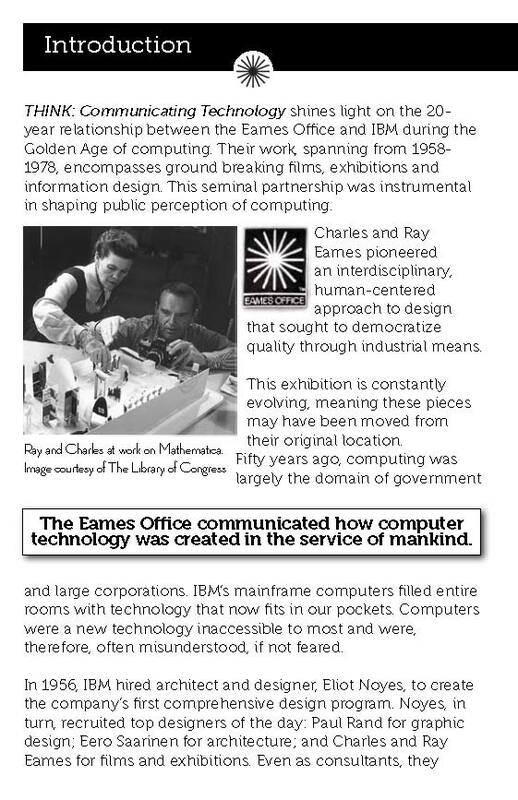 Collectively, these talks presented an intimate and seldom explored view of the communications design works of Charles and Ray Eames. The focus of the thesis project was to re-imagine the museum experience, leveraging technology and storytelling techniques to help users engage with the ultimately human narrative connecting the objects presented. We spent three academic quarters forging relationships, conducting foundational research, and prototyping low-fidelity, often low-tech interventions within museums to help us better understand visitors' motivations and expectations. Beyond gleaning insights from from existing research on visitor-behavior in museums, we conducted primary research through ethnography and interventions in art and science museums, stores, restaurants, airports, etc. We also did extensive subject-matter research at the Library of Congress, IBM Corporate Archives and the John and Marilyn Neuhart Collection. A significant amount of fundamental research was completed in conjunction with Professor Jennifer Aaker's "Designing Happiness" class in the Graduate School of Business. An in-depth discussion of this research is available HERE . 1) Visitors are often overwhelmed and disoriented when arriving at a museum/exhibition, anxious to make best use of their limited time. Providing a starting point and a few additional highlights (or "playlists") greatly improves their ability to navigate the exhibit and increases satisfaction. 2) Visitors want to know the story behind the objects that interest them, not just the biographical information presented on a placard (tombstone). Small anecdotes and short, interesting "tidbits" are all visitors need to engage an exhibition in a new and meaningful way. 3) People are increasingly relying upon their smartphones to navigate and augment their real-world experiences. Visitors enjoy using their smart phones to uncover the hidden stories behind the objects that interest them, share what they've learned and continue exploring exhibitions in this fashion. 4) Everyone wants to take home a piece of the exhibition. POV: VISITORS NEED A BETTER WAY OF CONNECTING TO ART WHILE EXPLORING MUSEUMS TO FEEL CONFIDENT THEY'VE SEEN SOMETHING COOL AND LEARNED THINGS WORTH SHARING. Using this as our guiding principle, we began testing low-tech interventions. 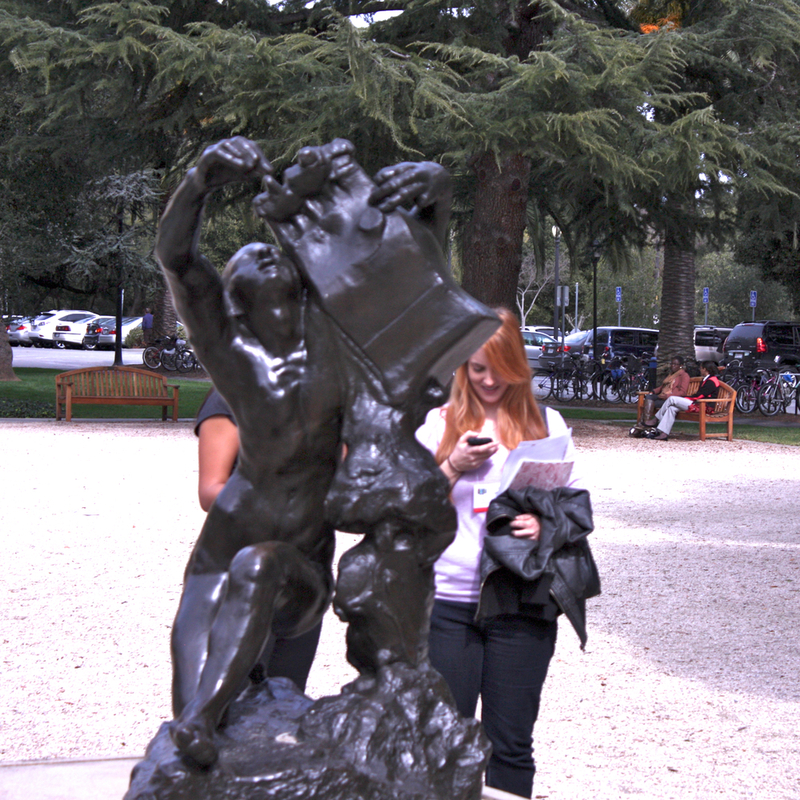 The most popular of these was a "Playbill" handed out to museum-goers at Stanford's Cantor Art Center in the Rodin Sculpture Garden. This booklet was a rough analog version of the iPhone app we had already begun contemplating. The next step was to translate our learnings from the printed playbill into an app capable of acting as a sort of on-demand, personal docent. While various technologies were available or emerging in 2011 to enable near-field location (e.g. RFID, Bluetooth, WiFi indoor positioning, etc.) none were readily deployable or affordable. While not the most elegant solution, we used QR Codes, the Pet Rock of the Digital Age, to communicate visitor location. Placed near artwork, visitors easily uses their smartphones to scan QR Codes, loading interesting information, expanded content, enable sharing, etc. Despite its relative clumsiness as a technology, it worked perfectly. 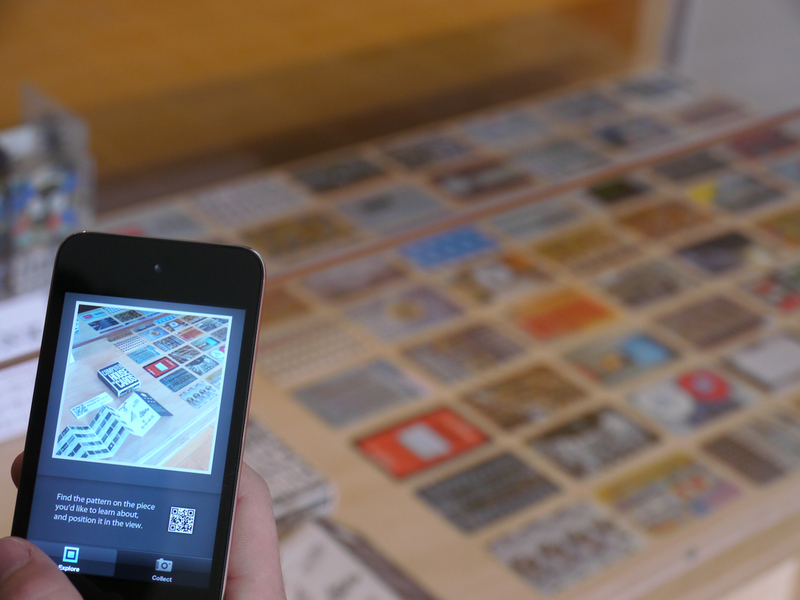 Custom-built for the exhibition by BuzaMoto, the ArtmiXer iPhone app was designed as a modular platform to be used by museums to give visitors expanded access to their collection and the stories behind it. Scanning a QR code let users "collect" interesting narrative tidbits about the associated objects, download high-resolution images, take and add their own photos, and even share with their social networks. As envisioned, museums could also use the app as to let visitors create their own tours and serve as ad hoc docents, further engage members, sell exhibition-specific content such as print-on-demand souveniers, advertise upcoming shows and sales through push notifications, etc. 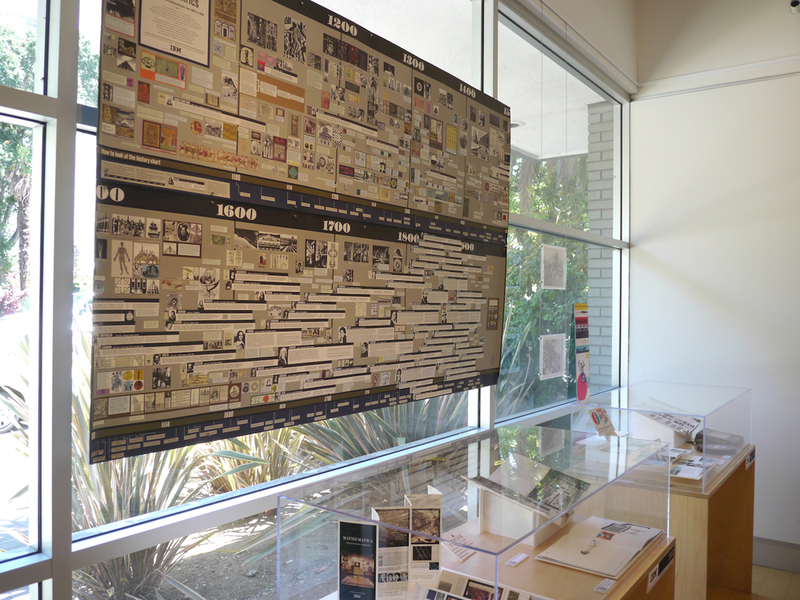 The exhibition ran for five weeks in the atrium lobby of LUNAR's design office in Palo Alto, California. It was heavily attended by students, area professionals from the likes of IDEO and Google, and even tourists visiting Silicon Valley. The opening event brought together over 100 people from the surrounding community and the space was used for multiple design-related events over the weeks that followed. 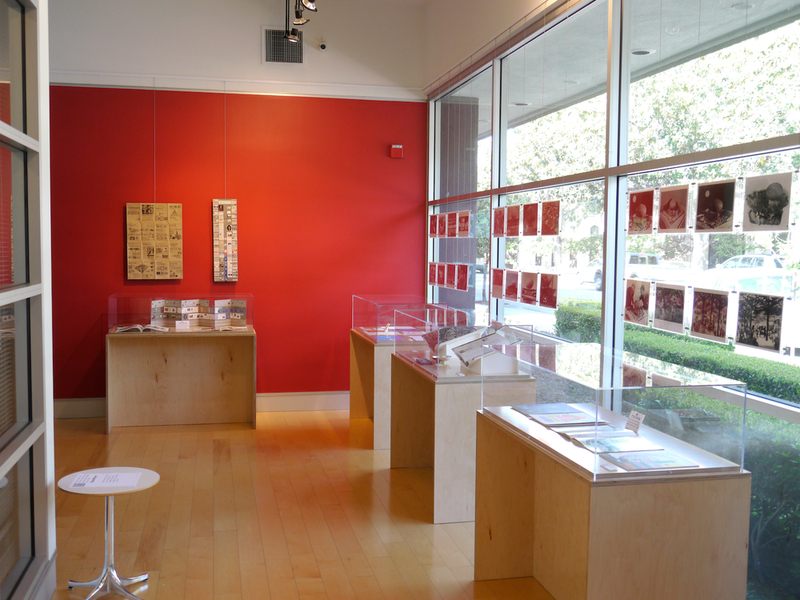 I designed and fabricated the exhibition display cases with the help of Laura and John Stanfield. 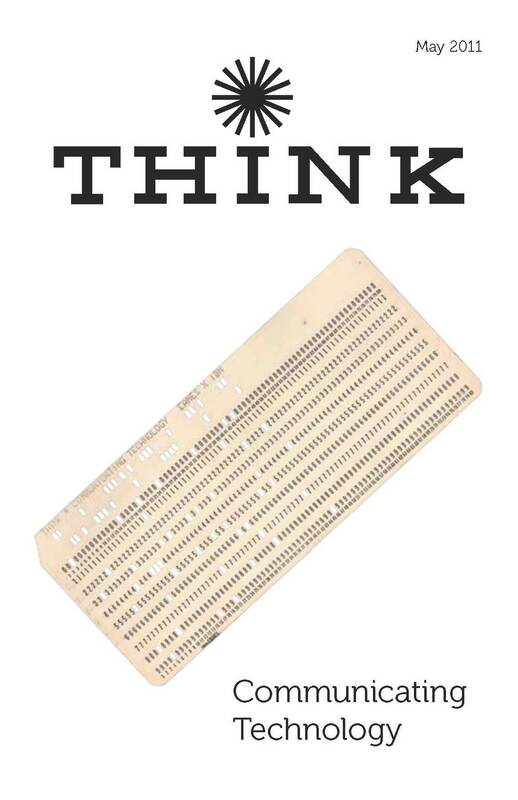 In addition to the poster I designed, we created invitations from vintage computer punch cards. 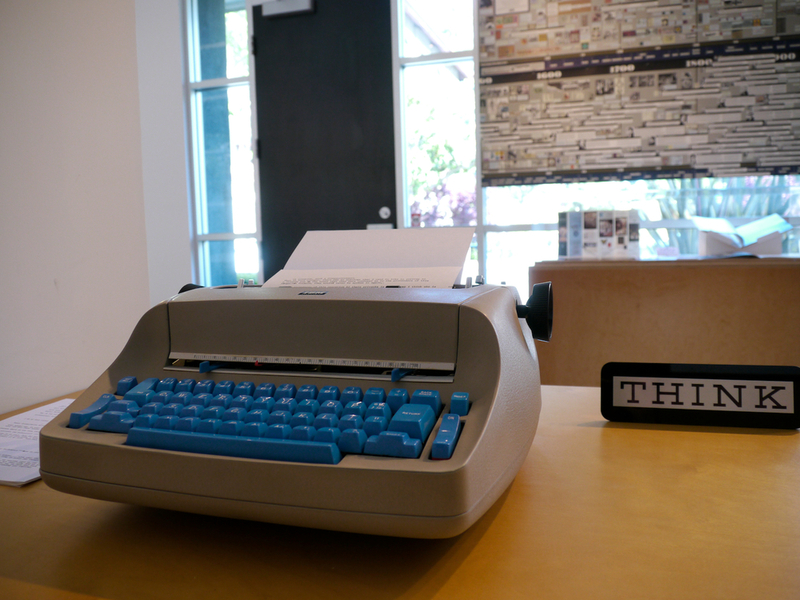 Thanks to the Computer History Museum's 1401 Restoration Project, old school IBM engineers helped us punch them on a vintage Raymond Lowey-designed card punch machine. 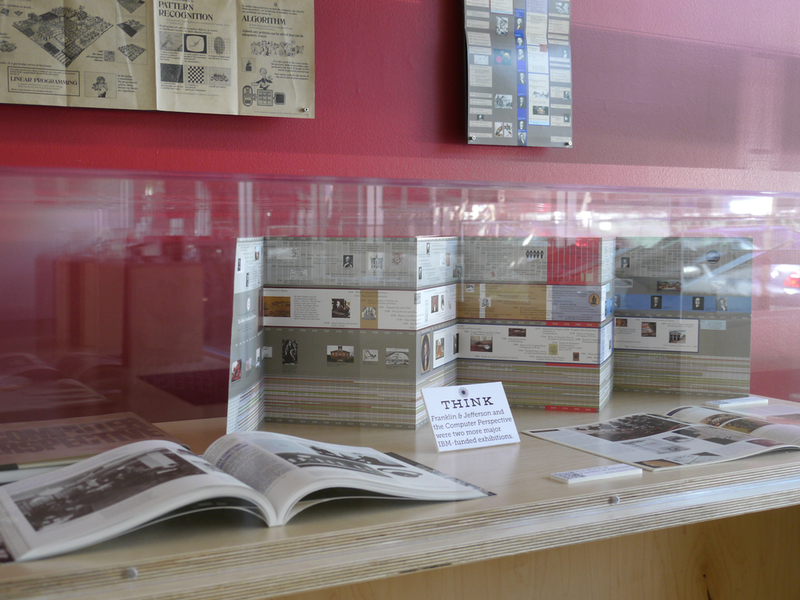 Laura (design) and I (content) created a paper Playbill for the exhibition to help visitors explore the exhibition. 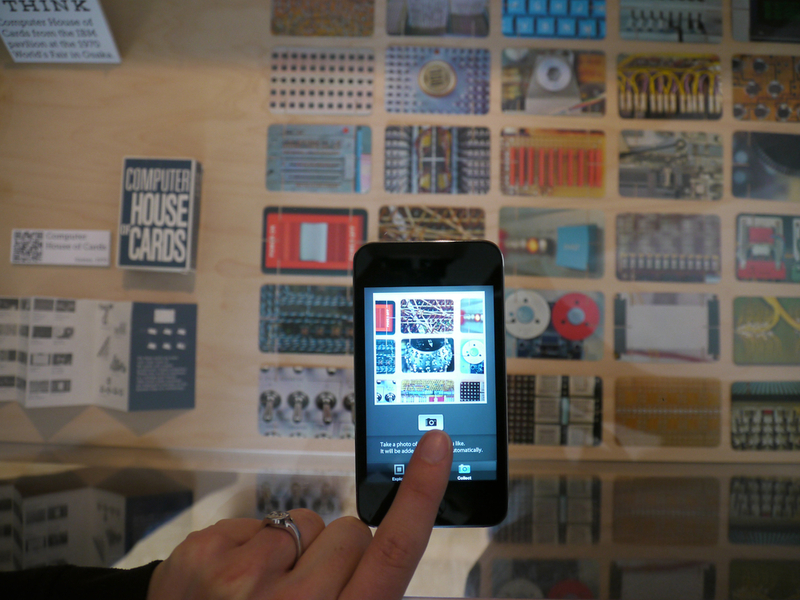 We used floor wayfinding to guide users to specific artifacts. Link. Published on February 08, 2013 by Michael Turri.